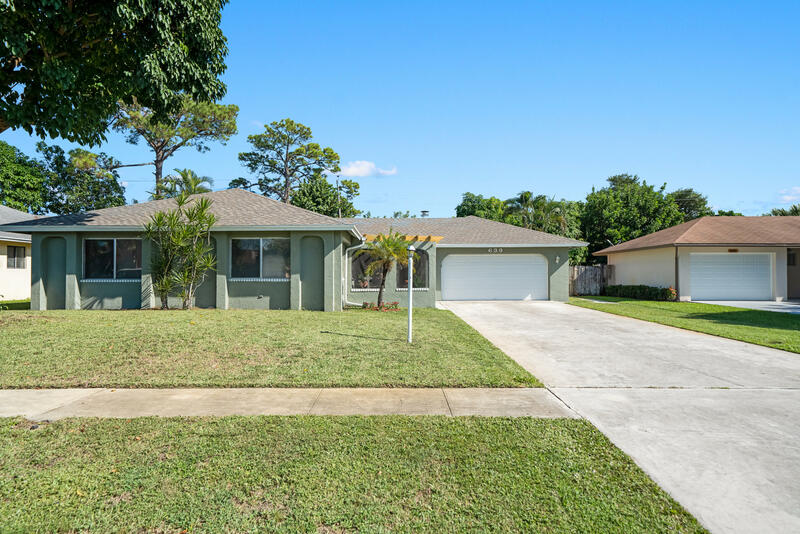 All WOODED ACRES homes currently listed for sale in West Palm Beach as of 04/21/2019 are shown below. You can change the search criteria at any time by pressing the 'Change Search' button below. "Over 2,200 square foot home in the desirable family neighborhood of Timber Run. NEW ROOF 2018. A/C 2017. Low HOA of only $400.00 per YEAR. This extra large home has an in-law suite with its own separate entrance. The in-law suite consists of living area, bedroom, walk-in closet and a bathroom with large vanity and walk-in shower. (It does not currently have a toilet but can be easily added). Hardwood floors throughout the main living areas. The living room has a brick, wood burning fireplace with large mantel. The oversize 19 x 13 kitchen has a 9 foot island making it perfect for large families and entertaining. New carpet in the master bedroom. There is an 80 gallon solar water heater. Two car garage and a fully fenced backyard with a mango tree."